The Hows of Us, starring Daniel Padilla and Kathryn Bernardo, is graded A by the Cinema Evaluation Board. 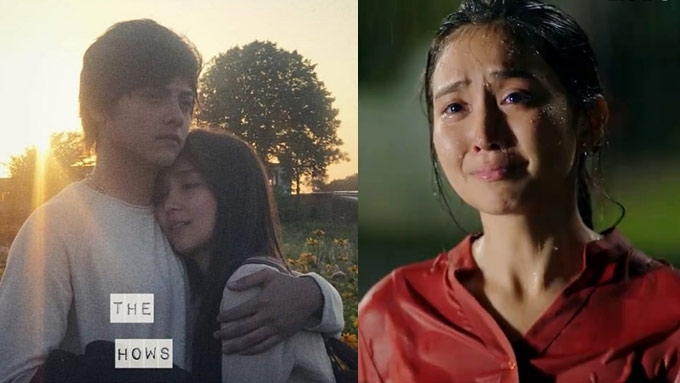 The Hows Of Us, starring Daniel Padilla and Kathryn Bernardo, has earned PHP70.7 million in the box office. The Kathniel movie reached this milestone in a span of two days, according to Star Cinema. ABS-CBN's film arm announced that The Hows Of Us earned PHP70,755,735.11 on August 30, a day after the film opened in Philippine cinemas. The movie almost doubled its opening gross in two days since it earned PHP35.9 million on its first day last August 29. Daniel plays Primo while Kathryn is cast as George in this romantic drama directed by Cathy Garcia-Molina. The Kathniel love team portrays a young couple planning for their future and looking forward to growing old together. Primo is a member of a rock band who dreams of becoming famous in the future while George is an aspiring doctor. Their relationship is put to the test when the pursuit of their dreams become too much too handle. The Hows of Us is graded A by the Cinema Evaluation Board.